While the entire world celebrates on the last day of October the scary Halloween, on Korčula island the same time is marked by a tastier tradition. 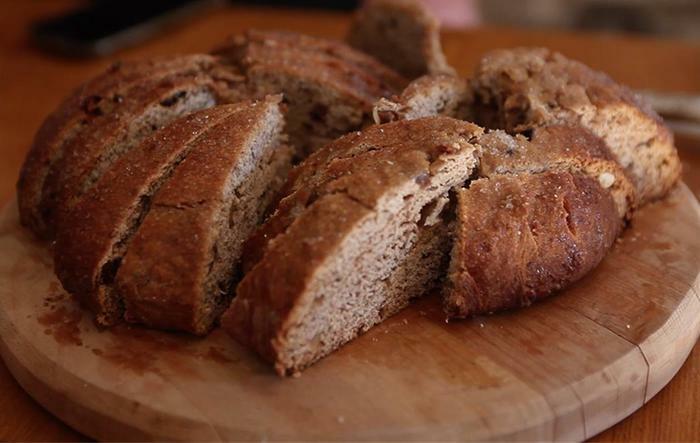 Lumblija is a bread overfilled with spices from the island and which is prepared for already two hundred years by the residents of Blata on Korčula in order to commemorate a dear person who left them. The tradition started, as it often happens, with a love story. The first lumblija was baked by a french soldier of Napoleon's army when he left the island. The bread with almonds, walnuts, orange, cloves and other spices from Korčula island, was a farewell gift for a beautiful girl from Korčula. He handed over the gift to his dear with the words "n'est oublie pas" (don't forget me), which sounded to her like - lumblija. To keep the memory of this tradition, as well the one of the ancient love, the carrying residents of Blata on Korčula, organize every year the Days of lumblija.